How Can You Get Rid of Those Annoying Cavities? Depending on how long you’ve had your cavity as well as the type of cavity you have, the symptoms and signs of your cavity can vary greatly. However, symptoms that are common to almost all types of cavities include toothaches, sensitivity to very hot of very cold foods, and sometimes pain during drinking or eating food. 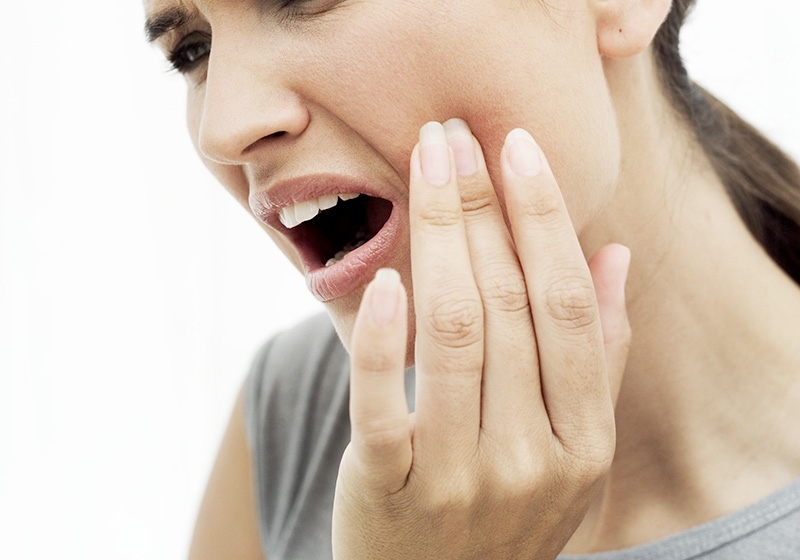 If left untreated, cavities can wreak havoc to your teeth – in extreme cases leading to tooth loss. And of course, as a solution you can go and visit your dentist to fix up your cavities, but what if we tell that you can get rid of cavities at home, and that too 100% naturally? Needless to say, the best way to take care of your teeth is to brush at least twice daily, and floss once a day. Apart from that, what else can you do to prevent or control cavities naturally? Also known as amla in Hindi, this little wonder fruit fights bacteria and infections, and provides your body with high doses of vitamin C and antioxidants. Oh, and it also fights bad breath! Add 1 tsp. of ground amla to 1 tsp. of water and gulp it down! Now this is a surprise entry on our list. Licorisoflavan A and licoricidin – two antibacterial compounds found in licorice – are responsible for keeping your cavities in check by inhibiting the growth of bacteria that cause your infection. Use dried licorice root powder as toothpaste and brush your teeth for at least 2 minutes with it daily. We all know the reason your teeth are in this mess is because of sugar. If you want to know how to get rid of cavities, then begin with eliminating all unnecessary sources of sugar from your life – energy drinks, cold drinks, sugar itself, etc. Shift to stevia to sweeten your drinks. Because if you don’t, prolonged use of sugar can result in permanent decalcification or demineralization of the structural content of teeth, which leads to dental decay. Its antibacterial, analgesic and anti-inflammatory properties not only help fight bacterial growth, but can also help you reduce any pain you might be feeling in your infected tooth. All you have to do is to dip a Q-tip into clove oil, and then apply the oil to the affected area. Do this twice a daily for best results, especially after having your breakfast in the morning, and before going to sleep at night. Salt helps in alleviating your pain, reducing inflammation and keep bacteria from spreading any further. Just add I tbsp. of plain salt to a glass of warm water, and swish the solution in your mouth for 30 seconds. Throw it out, put more water in your mouth, and repeat the process till you’ve emptied the glass. Do this mouth rinse at least 3 times a day. Take 3-4 pieces of garlic cloves which are known for their anti-fungal, anti-bacterial and antiseptic properties, and crush them. Add a sprinkle of rock salt to it and apply the mixture to your tooth. Let it remain there undisturbed for at least 10 minutes. For added measure on how to get rid of cavities with garlic, you can add 2 drops of clove oil to this as well. Repeat twice a day. Its anti-inflammatory and antibacterial properties help in keeping your gums healthy, as well as curbing any tooth decay. All you have to do is to mix 1 tsp. of clove or coconut oil with turmeric powder, and apply it to your tooth. Let it remain there for 7-8 minutes, and then wash it off with your salt water mouth wash. This practice of oil pulling was fairly common in ancient India. Not only does it work effectively on curbing the growth of your cavities, but it also takes care of bad breath and bleeding gums. All you need is 1tbsp. of either coconut oil or sunflower oil. Put the oil in your mouth and swish it for at least 5 minutes. Do not swallow or gargle with it. Spit it out, give your mouth some rest, and repeat the process 2 more times. When you’re done, rinse your mouth with your DIY salt mouthwash. Use neem oil and apply it on your infected teeth. Leave it aside for 5 minutes and repeat the process 3 times daily.